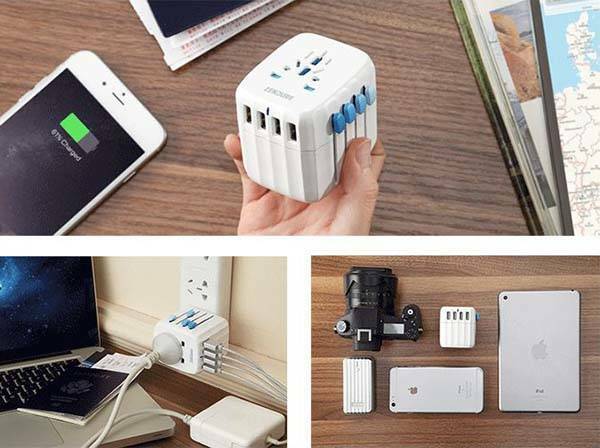 The Passport universal travel adapter is designed to power your devices wherever you go, and its auto-resetting fuse protect connected devices from overload. Like the idea? Let’s keep checking. The Passport is a beautifully designed and versatile universal travel adapter that measures 2.24 x 2.8 x 2.5 inches (57 x 72 x 64mm) and weighs 5.6 oz (159g). 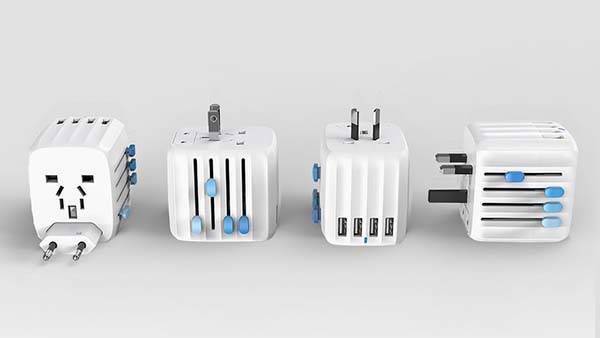 The travel adapter sports a compact and minimal appearance design, so you can easily put it in your bag for any trip. The Passport features an all-in-one outlet system and four “Press and Slide” buttons, it works well with all major plug types around the world, and you can effortlessly adjust its prongs for different outlets. More importantly, unlike regular travel adapters with a built-in fuse that needs to be replaced after an overload, the Passport features an auto-resetting fuse to protect your devices from any overload. The universal adapter can usually fix itself in less than one minute, and the fuse can stand up to 10,000 reset cycles. Moreover, the universal travel adapter also features four USB ports that deliver up to 5A/25W output for charging multiple mobile devices at the same time. In addition, its baby-proof mechanism prevents your kids from prying open the socket and getting shocked. The team behind Passport is raising fund via Kickstarter. You can pledge $39 to preorder the universal travel adapter. If reaching the fund goal, it would be shipped in September 2017. BTW, don’t miss the compact universal travel adapter and more cool related gadgets by following tags.